For the garnish, slice one parsnip long ways with a drizzle of olive oil and honey and place into oven at 180°C for 15-20 mins until nicely browned. Steam the rest of the roughly chopped parsnip for 20 mins until soft. Place parsnip, cream, garlic, dash of olive oil, salt and pepper into a food processor and blend until creamy. Finely slice bacon and fry until crispy. Boil peas for 5 mins. Add bacon, peas and pureed parsnip to cooked pasta and stir through until evenly spread. 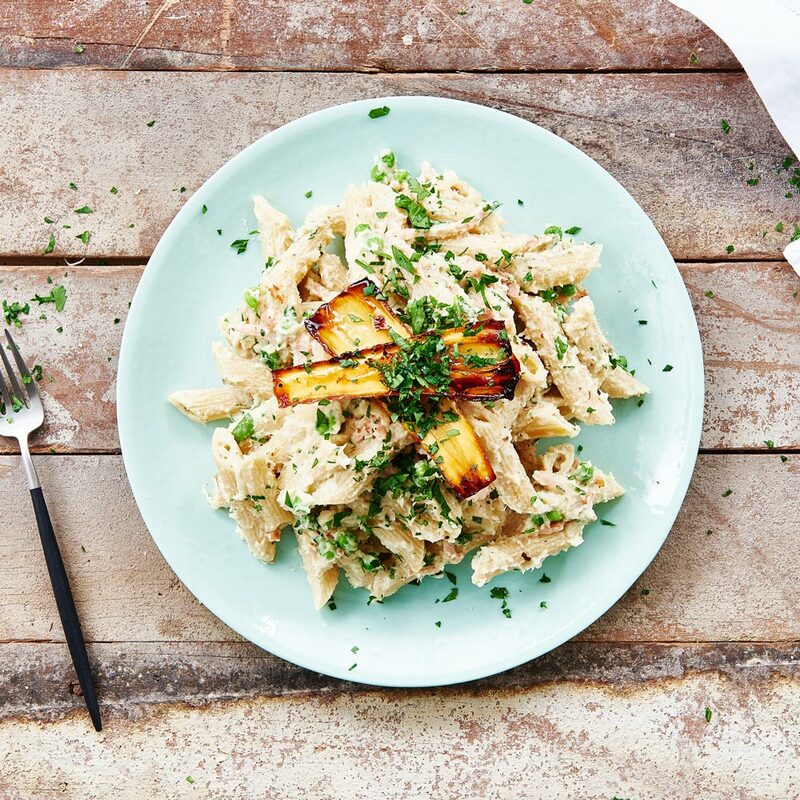 Serve with the honey roasted parsnip and a sprinkle of parsley.